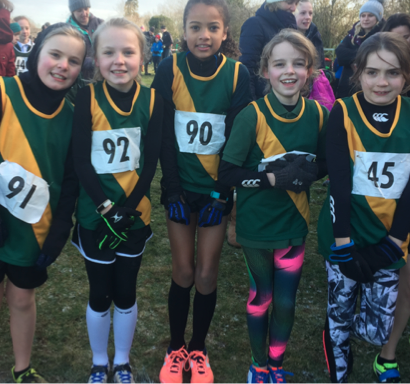 On a very cold Wednesday morning, St.John's cross country runners were invited to participate in the Buckinghamshire Schools Cross Country Championships at The Cottesloe School, Wing. We were well presented with 13 runners across Year 5 and 6. It was a challenging mile course, with hills, bridges and gates to negotiate. All of the athletes ran with great enthusiasm and represented the school to the highest standard and should be very proud of themselves. A huge congratulations to Anna who finished in the top 10 girls out of 110 as well as Harry, James, Ronnie and Reuben who finished in the top 10 boys out of 130. 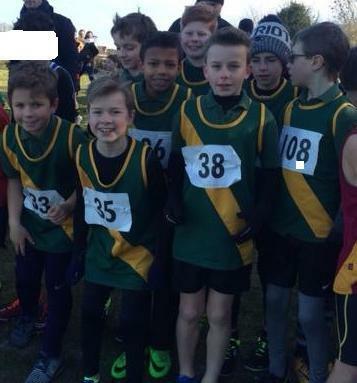 As a result, they have all been selected for the English School Cross Country Championships in Leeds. As a school, St.John's girls team finished 4th out of 13 schools with an average time of 35:27 and the boys coming 1st out of 17 schools with an average time of 29:34. Thank you to all the parents who helped with transport and supported the children on a very chilly day! A huge well done to all who ran.